CONFIRMED TO PLAY FREE PRESS SUMMER FESTIVAL, SPRING AWAKENING, BONNAROO, FVDED IN THE PARK, MADE IN AMERICA AND MANY MORE! 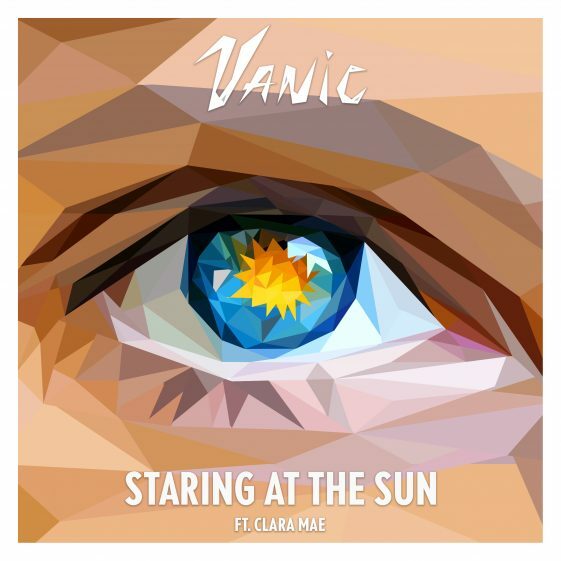 (New York, New York) – Canadian DJ / producer Vanic releases “Staring At The Sun” ft. Clara Mae today at all digital providers via Disruptor Records / Gold’N Retriever / RCA Records (Click Here To Listen). The track was produced and co-written by Jesse Hughes (Vanic). Born and raised in Vancouver, Vanic’s music has over 150 million collective plays and 22 #1’s on Hype Machine. He has remixed recordings for artists including Taylor Swift, The Chainsmokers, Major Lazer, Tove Styrke, Lana Del Ray, Chvrches and more. Earmilk has said, “Vanic has developed a signature sound that combines smooth vocals and punchy chords. His electrifying production skills cater to both electronic and pop lovers, veering him into the proper direction to thrive in the industry.” Vanic has played major festivals including Coachella, Firefly, Shaky Beats, SXSW, EZoo, Fashion Meeting Music Festival and many more. Clara Mae is a singer from Sweden and is a former member of Ace of Base. She launched her first solo single “Changing Faces” in 2015 with her up single “Avalon” shortly after.